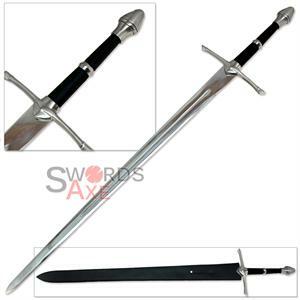 Around 500 A.D., changing of the Roman regime in Europe marked the birth of the Medieval Sword, and the Dark Ages and Middle Ages. 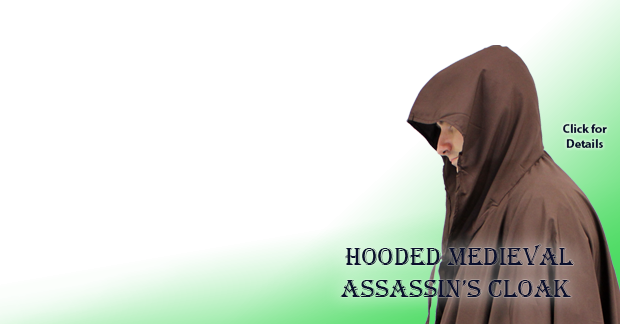 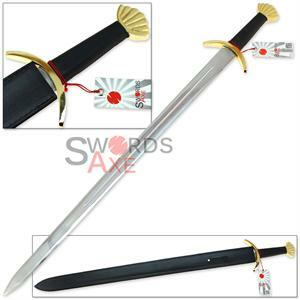 Advances in both weapons and armor appeared, for example the Medieval Two Handed sword (also the Broadsword), and the Medieval Knights armor. 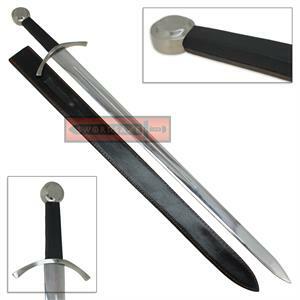 To defeat heavy armor and still cut and slash flesh, a Medieval Sword took on the role of piercing between crevices and sometimes strait through iron or steel armor. 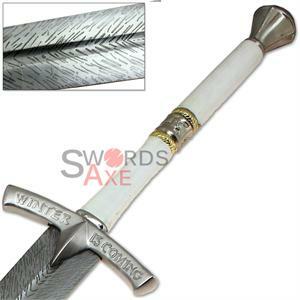 But not all war fighters had metal armor to wear, therefore, a sword would also need to be an efficient cutting and slashing weapon. 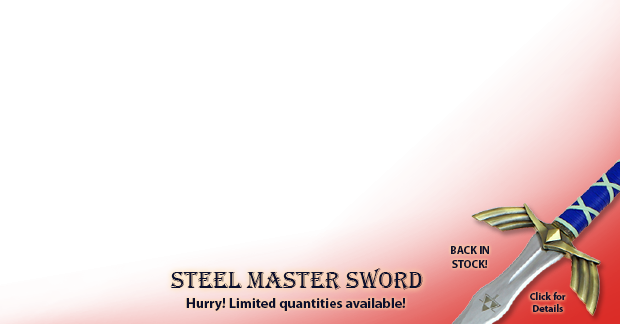 Even as a medieval blade ages without maintenance, it will still have the ability to crush an opponent. 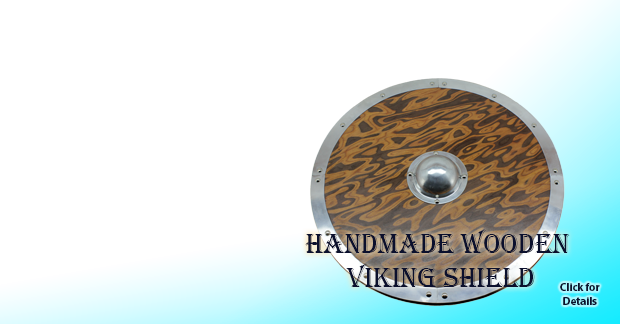 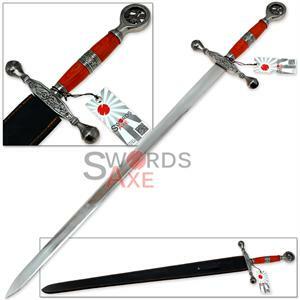 Starting from around the 6th century and onward, at least six different versions of Medieval Swords existed on the battlefield and often became family heirlooms. 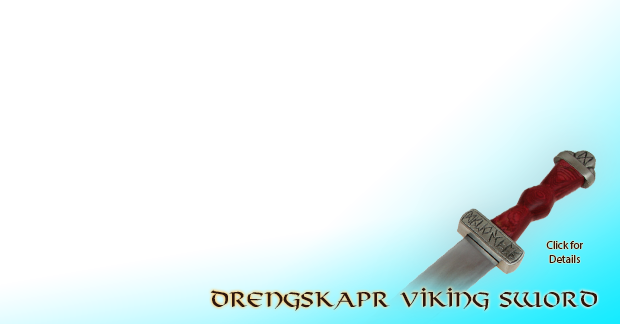 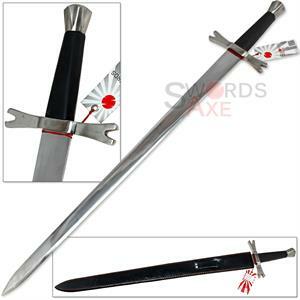 The Cutting Sword was adopted early on and was great for slashing , but lacked the power to defeat heavy armor. 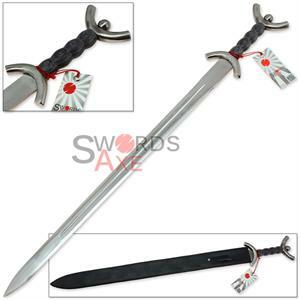 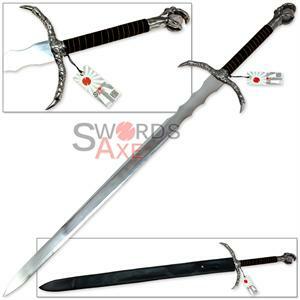 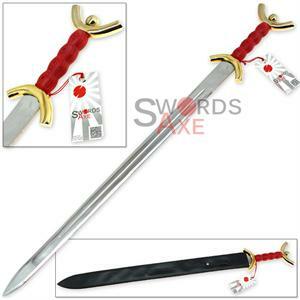 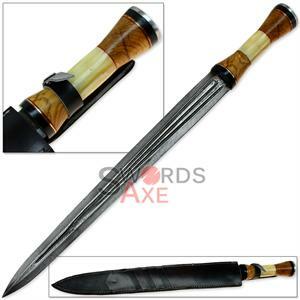 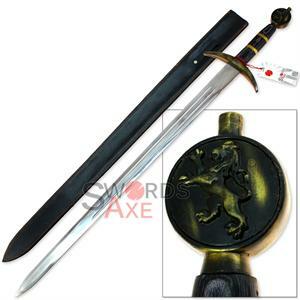 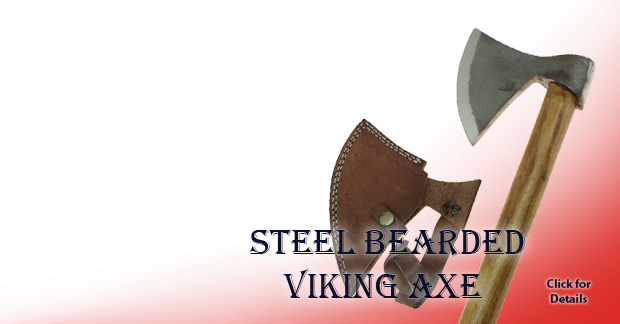 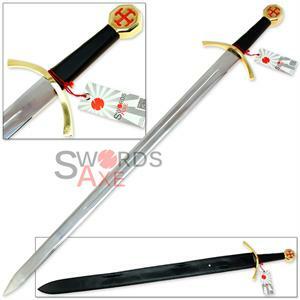 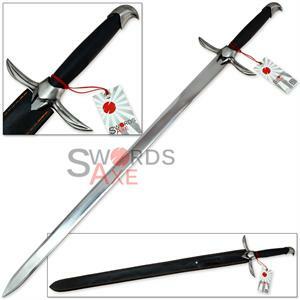 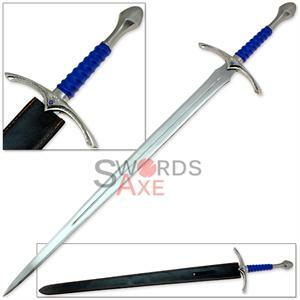 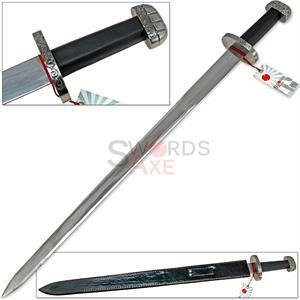 More famously, the Broadsword, which was sharpened on both edges of the blade and weighed around 5 pounds. 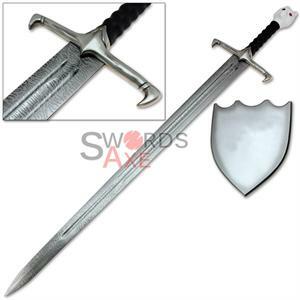 During the crusades, many knights used a Falchion Sword, which was sharp on one side and was both short and heavy. 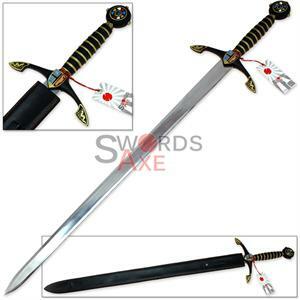 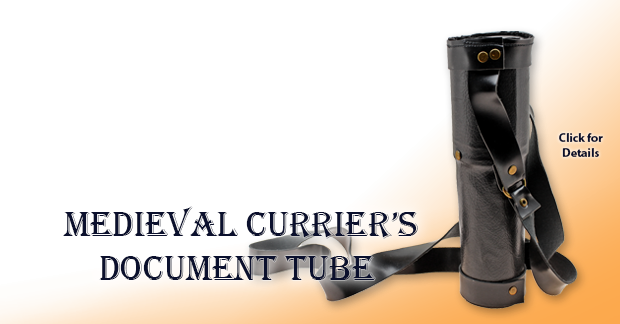 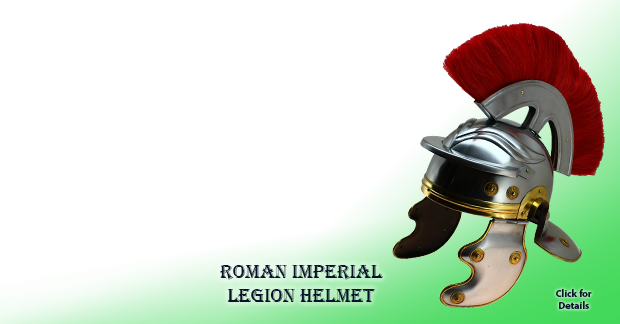 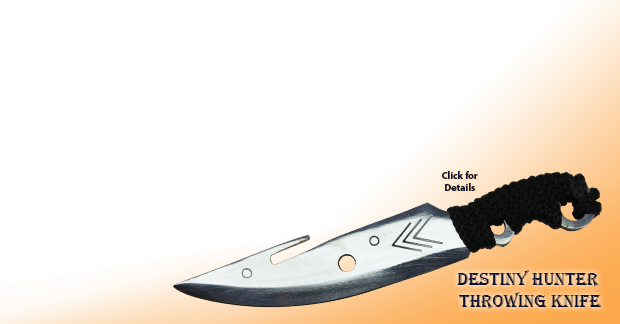 Less commonly favored was the Scimitar, which has a curved edge and works well for traveling and horseback. 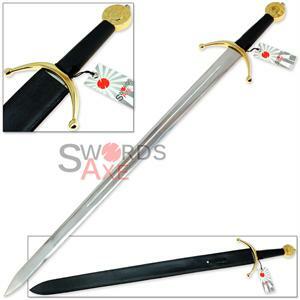 Greatswords are possibly the ultimate Medieval Sword feared on the battlefield for it’s shear size (50-72 inches), weight (up to 10 pounds), and wielding with the strength of two hands. 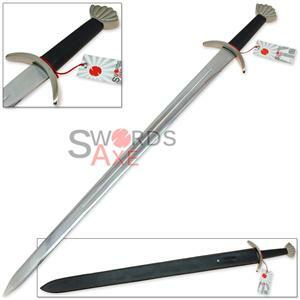 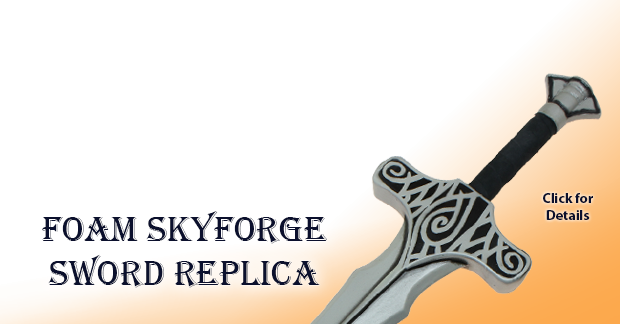 Finally, the Longsword (a.k.a. 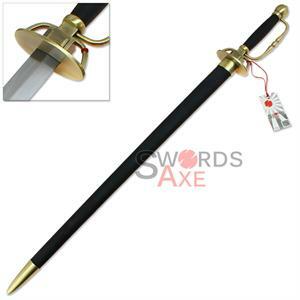 Two-handed sword or Bastardsword) was a compromise that could be handled with one hand or two hands.